As the title says, if you have any issue regarding a high ping, low fps or network connections then scroll through this topic to try out a few solutions I provided. If you need any more help regarding something you don't understand or if it didn't help at all do not hesitate to send me a personal message as my pm is always open to help you out! Starting with the basics, problems with a less amount of frames per second or as we call it 'FPS' occurs due to lack of your PC capability to handle the excessive processes which leads to heating of motherboard. This problem is usually faced by laptop users as it has its natural tendency to heat up fast (this won't be the case if you have updates drives and graphic card). Basic explaination of latency and lag. There are hundreds of ISPs all giving you access to the net, but how good are they for playing games on? The truth is the bigger named ISPs will often claim to be the fastest, but you will find that their number of users outweighs their capacity to serve them properly. Gaming will test your internet connection like never before. Your modem is happy fetching pages when you click a link on a web page, or accessing your email. On external modems take a look at the send and receive lights. Whilst browsing they will flicker and your connection will go idle as you read what is on your screen. When playing games however, the lights will be constantly on like a pair of demon eyes. Why? A massive amount of data needs to be relayed to the game server and back to your PC. In action games when you press the fire button the information is passed to the server and your player will fire its weapon. Simple? Well, not really. You have to take into account what else is going on. There are other players there as well all moving about and blowing things up, and you want to see them especially if they are firing at you! Also take into account doors opening, lifts moving, more players entering the server and you have a huge amount of data to shift via your connection. Hence, the faster your connection the more data you can handle and the less “latency” your likely to receive. For example take the player highlighted green in the screenshot here who has a ping of 232ms. A ping of anything less than 350 is playable on a 56k modem (thankfully these are no longer used ). Trying to play with anything higher is like trying to sprint through a sea of treacle with lead weights attached to your legs. You will also see players with a huge range of pings. The reason for this is mainly down to three factors. Distance from the games server. For instance if you live in the UK and are connected to a server in the US, players living in the US will have faster connections to it, hence lower pings than you. How the Players have set-up their games configuration is also a factor. Games can be tweaked to lower pings by a few milliseconds and give a faster more enjoyable gaming experience. Lastly a players connection type plays a big part in how fast the connection is going to be. The good old modem is the slowest and will give you pings in the range of anything from 110 – 300. Then there’s ISDN, cable modems, and ADSL, all of which can give pings as low as 30 – 80. Of course players with access to T1 lines are laughing as they zip along with pings in the low forties. Not only does a lower ping result in less latency, but they are usually digital as well. This means they are often more stable for sending data which is also digital. This in turn means usually less lag along these connections. It also gives players an advantage over higher pinged players when it comes to reacting. A player with a ping of 50 is going to be able to react slightly faster than a player with a ping of 150 so in a one on one situation the lower ping player will have an edge. One factor still remains and that’s skill. Give a player who is never played online an ultra fast connection and another with a slower connection who knows the game inside and out and the skilled player will come out on top. So even if you do not have the lowest ping in the world you will still enjoy competing against other players on the game of your choice. As with all things in life, practice makes perfect. You’ll see this mentioned a few times, and is one word you are bound to hear constantly from other players and something your going to love to hate. Lag occurs when data from your machine to the games server is interrupted. To you this will appear as though you are stuck to the spot and can’t move/shoot, and anyone seeing you in the game will get a easy kill as you will be locked to the spot. Lag usually is temporary and only occurs for a few seconds. What is lag in online games? Online game lag refers to a delay of actions, chat, movements, sound or screenplay. Lag can cause an online game to freeze or disconnect as well. Lag can be caused by malfunctioning hardware, not meeting the system requirements, slow performing operating system, wrongly configured or corrupted processes, settings, entries or services. Old drivers or firmware, high conflict devices and game settings also cause online game lag. A majority of lag issues are caused by the internet connection. The performance of your internet connection does depend on hardware (CPU, RAM, network card, adapters), the processing speed of your operating system, settings made in your router or modem and of course the speed and quality of the line or signal from your ISP provider! Basic explaination of Ping and a few solutions. Many people assume that a fast, responsive internet connection relies solely on a good download and upload speed, but there’s more to it than that. There's also ping, which is essentially a reaction time. If you have a ping of 98ms (milliseconds) that's the time it has taken for your computer to respond to a request by another computer. Clearly, you want as low a ping time as possible. Many online games show your ping time along with the ping of other players or servers. If your ping is around 1000 (or more), you will almost certainly have problems playing the game due to the delay. Ping doesn't just affect games, but a large ping time is very noticeable when timing is crucial. That's why a low ping is so important in games, especially where your position (think first-person shooters or racing games) is everything. How to measure your ping speed? You can test the latency of your internet connection by using Speedtest.net, the most popular online speed test. (Fun fact: Speedtest was even featured in one of the Iron Man films.) Anything below a ping of 20ms is considered to be great, while anything over 150ms could result in noticeable lag. You might have the fasest gaming PC, but with a slow ping your actions will take a lot longer to perform than that of your online peers, giving you a disadvantage in the online arena. How to reduce your ping a slight bit? There’s no single way to reduce your ping, but instead a number of possible solutions – it’s a trial and error process. The first, and simplest, solution is to close all other programs and windows on your computer, making sure that there are no active downloads running in the background that might be affecting the ping. Another issue may be that someone else in your house is running a bandwidth hungry service, like streaming Netflix in full HD or playing online games. The more devices that you have connected and actively using the internet connection, the higher ping you’ll have. If you’re still getting a high ping, try and move your laptop nearer your router or, better still, connect your computer directly to your router using an Ethernet cable or powerline adapters. This overcomes any potential issues that you may be having with Wi-Fi and poor signal strength, which may affect the latency of your internet connection. It’s also worth checking the wires between your router and the wall box, making sure that they’re all plugged in fully – we’ve had a few experiences with cable connections becoming loose over time, and tightening them has helped the problem. As I have a low FPS on my laptop well, I can give you certain steps which can prove beneficial for you to solve this problem upto an extent. First and foremost, you should give proper priority to your computer startup. Some people are so excited to play the game that they don't give enough time to the computer for a smooth startup and end up facing this problem. When you start your computer, wait for atleast 3-5 minutes, so that your computer gets a good startup and you get better performance results. After you are done with startup, go to Start > Search bar > type run > type %temp% > hit okay. Delete everything you see there. There might be some exceptional files, don't worry just skip them. Then again go to Start > Search bar > type run > type prefetch > hit okay. clear all the files and folders in that location. After you've deleted both Temp files and Prefetch files, don't forget to empty your recycle bin. Recycling would remove these files from the computer. Other thing which you may do is, go to Start > Search Bar > type msconfig > hit okay. When the box appears, go to Boot > set the processors to the middle number. For example, if you have 3 processors, set it to 2. If 5, then set it to 3. After doing so, restart your computer. These points provided above should give it a certainly noticable boost. These solutions provided above are the 'main factors' of fixing the problem. If these didn't work I got some more possible solutions provided below. Those are extra programs to let your computer run faster, and to keep the stability. Once installed, just click on the option "Turbo, or gaming mode whatever it says depending on the program", then you decide if you want quality or performance. With this program my fps on my laptop went from 20-25 to around 40-60 frames per second which is a significant difference as it is without using one of the program(s). Remove all installed mods because the mods also take a big part of using your ram/graphic performance so it will slow down your pc. At all costs, keep your resolution as low as possible. 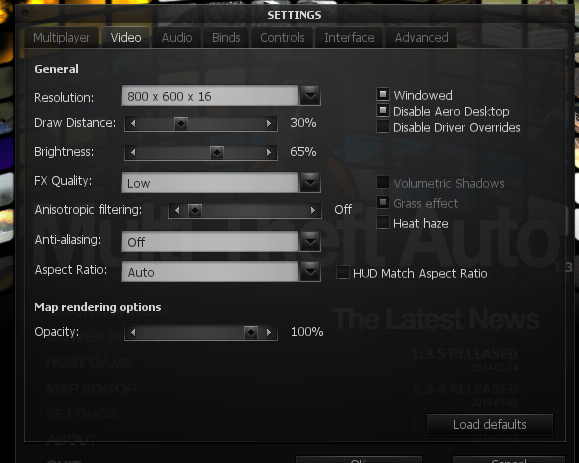 Play in windowed mode ( ESC -> Settings > Video, and toggle 'windowed mode' on ). Download a few (small) programs. GTA Shrinker is a program which removes un-neccesery smoke, grass effect, flares etc and it slightly increases your FPS by disabling them. The program 'shrinks' your gta3.img and sort of deletes or hides the effects so your pc doesn't have to focus on that and it makes you enjoy a smooth fps again. Advanced system Care 10 takes a one-click approach for making your pc run like a new one. It boosts the startup speed, optamizes the registery aswell as removing unwanted applications and other useless files which could make your computer run slower. It is important to keep your drivers up to date so it will not be outdated in any way. This program takes just a single one-click approach and it updates your drives whom are updated. The Ultimate FPS Boosting Guide! I hope this tutorial/guide helped you to solve your frustrating lag and ping issues. If you know any other working solutions to reduce/lower ping or FPS then post it here or PM it to me and i'll update the topic, it would be highly appreciated! left a reply on RE: [SH] Nitrous Racing (xN#) vs. ('TC|) The Crew Gaming. Here we are again with yet another shooter clanwar. This time our opponent will be Art of Gaming.